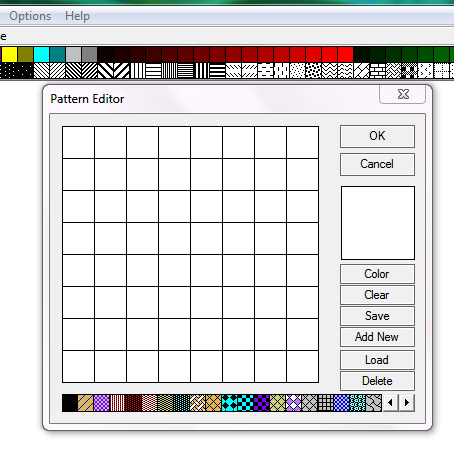 Colors & Patterns in Ez-Architect-It’s Easy when you Get it. Ez-Architect is VERY dynamic when it comes to using colors and patterns. However it can be a little confusing at first. But once you “get it” you’ll be an expert every time. Now, to emphasize our example, I’ll increase the size of the border so color and pattern changes will be obvious. I have selected line width 4 by clicking on the widest line in the icon bar to the left. Be sure to select the object before changing the line width. Now, I can play with color changes. To change the inside of the rectangle, simply left-click on a color or pattern from either row of colors & patterns on the color bar. Be sure to select the rectangle first. 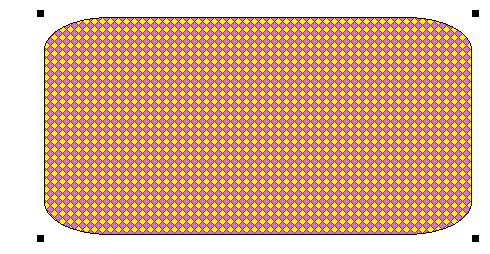 The same rectangle with a pattern inside. 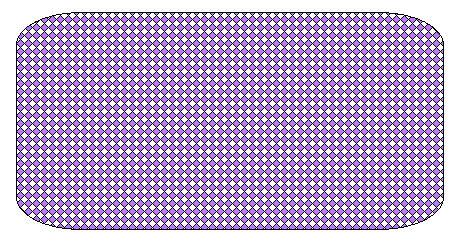 Select the rectangle, then select the pattern. Notice that the pattern is visible at the left of the pattern/color bar. Right-click on any pattern to fill the rectangle. Next time I’ll show how to change the the border color and pattern. Then we’ll learn to change the pattern colors. What is your favorite use of colors and patterns in Ez-Architect?